Good morning polished world! Happy Monday to you all. Can you believe the weekend is already over? Daylight savings time is really killing me this time around. I never have an issue with the whole falling back, but this whole jumping ahead is really messing with me. I already go to bed late, so last night I was up until 2am because my body was thinking it's 1am. Ugh. Good news, I have more "time" to edit nail photos and post to the blog since I'm wide awake. 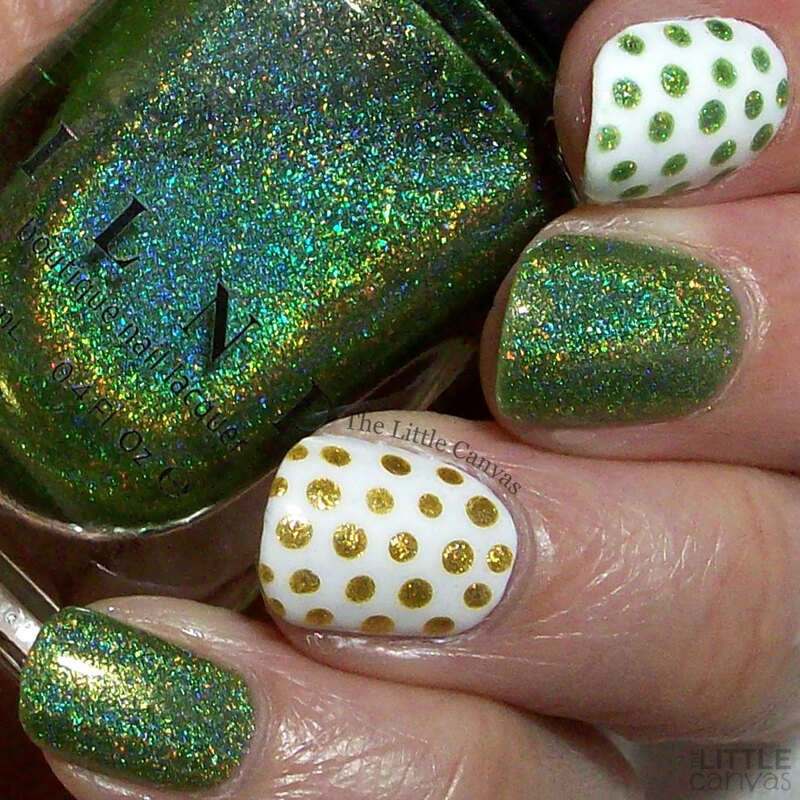 Today's design is a simple dotticure using one of my favorite green polishes - ILNP 1Up. I was going to do a shamrock design using this, but once I put the dots down I really didn't want to add anything else because I felt like it was going to take away from the holo. Isn't 1Up the most awesome green holographic polish ever?! I absolutely love the ILNP holos. I know a few weeks ago I said I needed to pre-order some of her Spring polishes, but I never got around to it. I'm sure by now the pre-sale is over. Anyways, this polish covers completely in two coats. Works great for dotting/nail art. What do you think? Fan of this look? Love the holo?